We're back from our various vacations-away-from-home and the gifts have been opened and the krumkake, lefse and rommegrot have been eaten and it's time to share the three handmade gifts the girls got this Christmas. 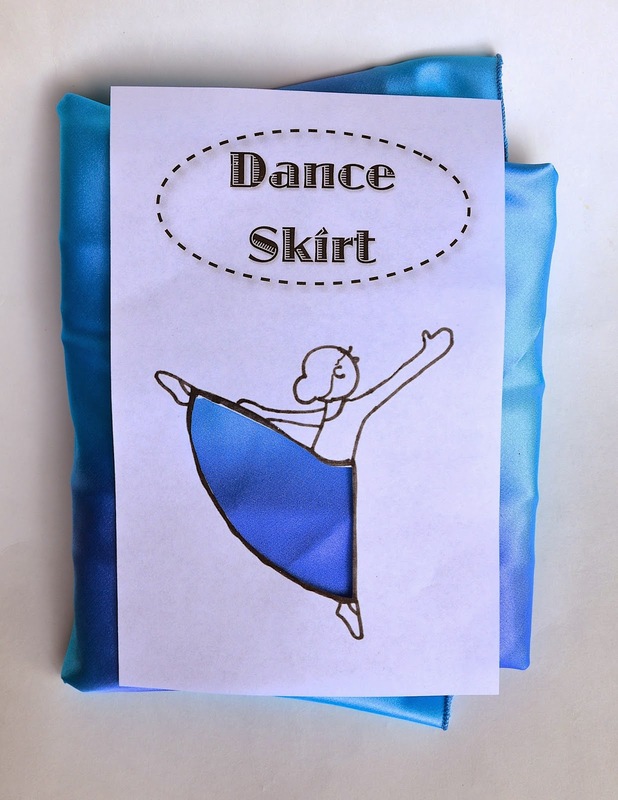 First is the lone fabric gift for all three girls: ankle-length circular dance skirts for their various pretend-play and dance recital type scenarios at home. 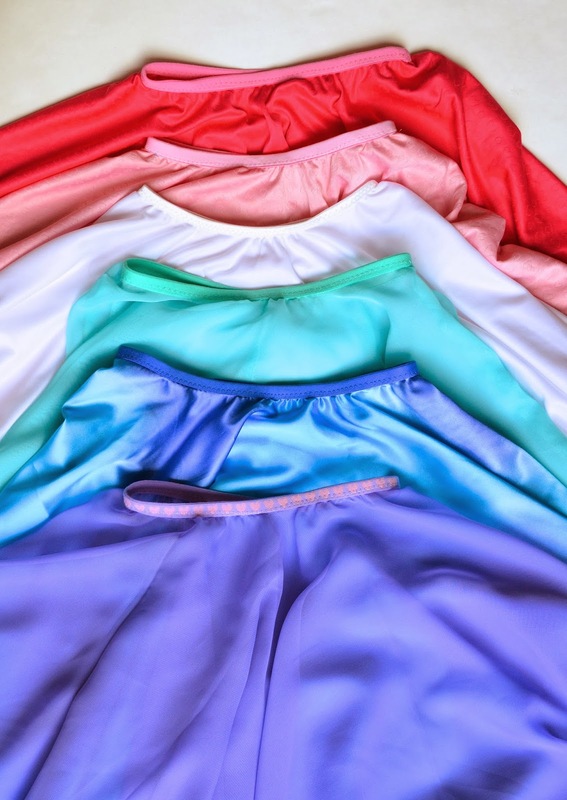 Probably their absolute favorite items in their old dress-up box are these chiffon dance skirts that I made them long ago. They still wear them all the time even now, and the elastic waists have thankfully accommodated to 5 years of growth. Here's an old tutorial on how I made those first ones. In recent years, however, the girls have been gravitating away from ballet and towards ballroom dancing - probably a natural side-effect of their Princess Phase. Consequently, they have been wrapping large scarves around their bodies and legs for makeshift swishy skirts (and layering the old short dance skirts over them). Sometimes it works and sometimes they just cocoon themselves by accident and can't walk, let alone dance. So I decided that they needed proper long circular skirts, that go all the way down to their ankles. Same method (but diverse fabric - some chiffon, some knit, some satin). The only difference is that Jenna and Emily are now too tall for a full circle to be cut out of even 54" fabric. 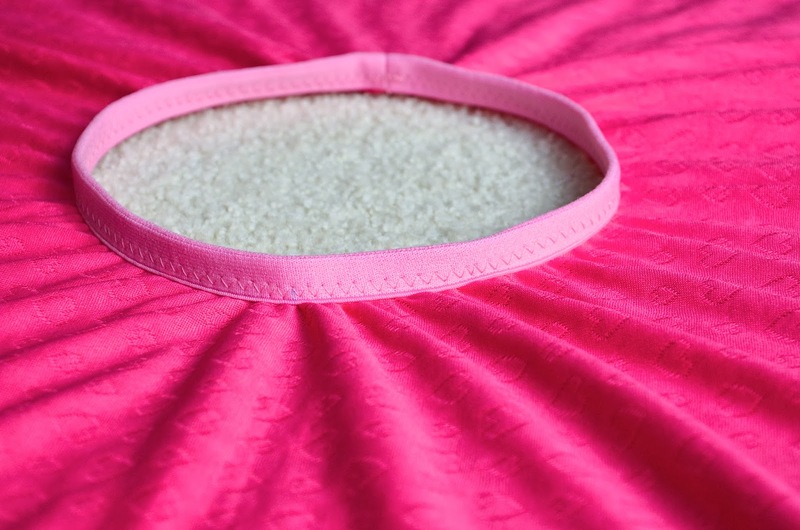 So there had to be seams (ick) for the longer skirts, which were cut in semicircles and quadrants and joined into a complete donut. This one in the photo below is Kate's, and she was still short enough for hers to be cut out as a full, seamless circle. Check out the FOE (fold-over elastic). You know how it's now really fashionable to hand-make diaper covers and washable diapers for babies (not that I'd know anything about that)? It's such a hot trend that JoAnn stocks all the supplies to make them, in a special section of the store. 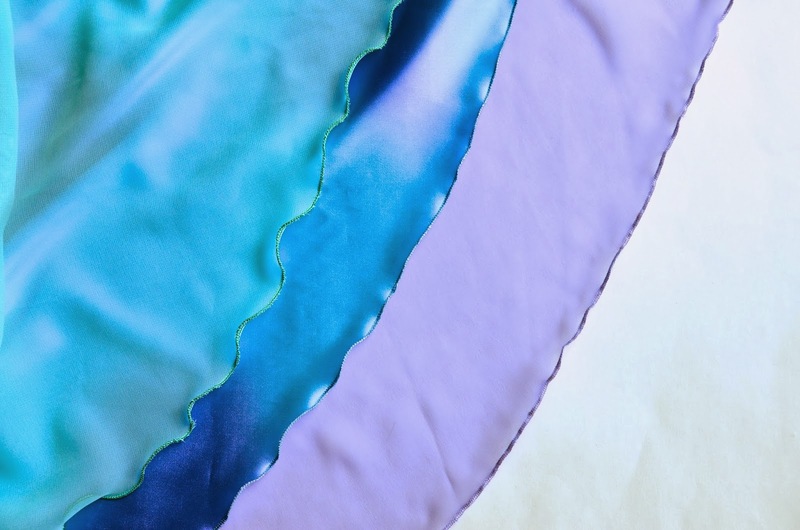 And "all the supplies" means FOE in the perfect width for skirt waistlines, in lots of fun colors! So you're not limited to just black, white and ivory, or to whatever random color you can scrounge up on etsy. 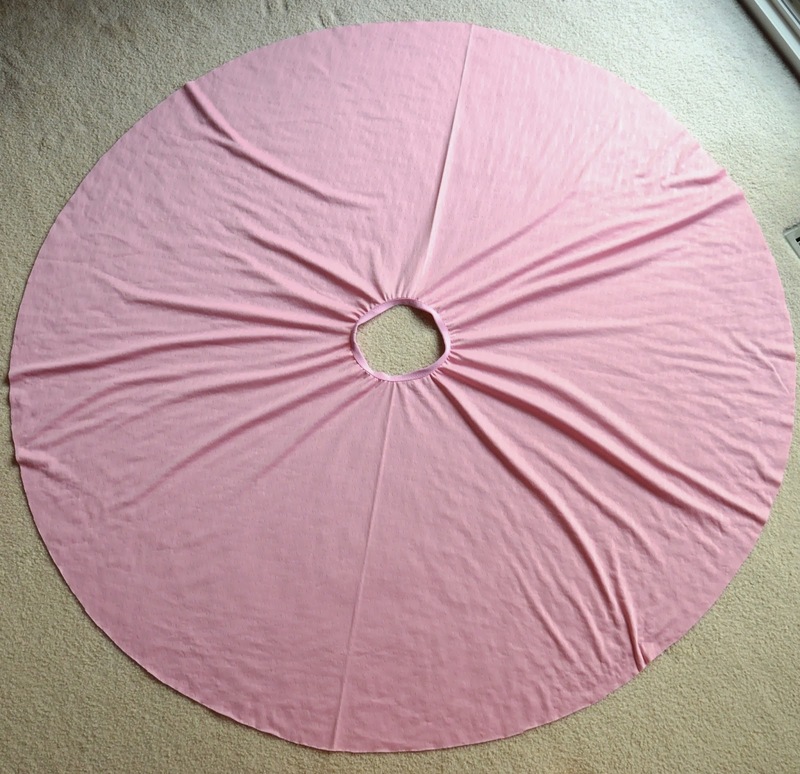 One thing I never mentioned in the old circular skirt tutorial is how I joined the ends of the FOE. Many tutorials (and the instructions on the backs of FOE packets) suggest overlapping the ends i.e. 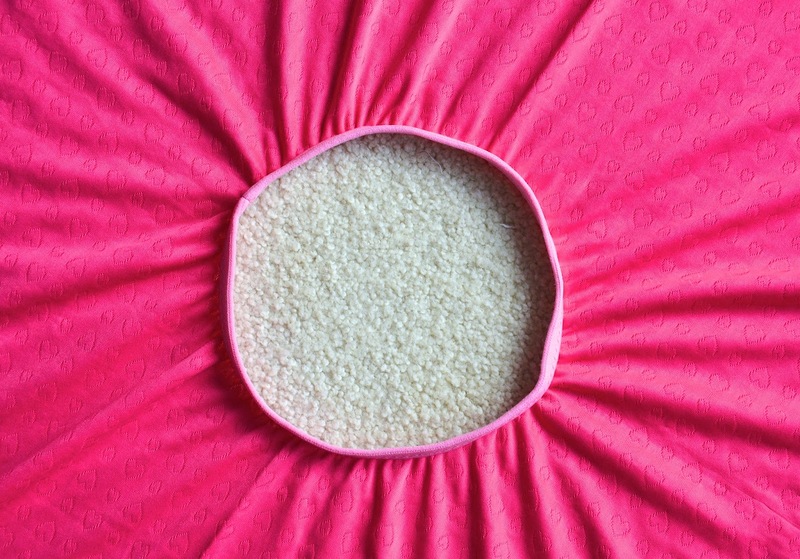 attach one free end of the elastic and when you've sewn all around the waistband, overlap the remaining end of the elastic and sew that down on top of the first end. I don't do that, because the ends fray and look hideously untidy and homemade and unpolished. 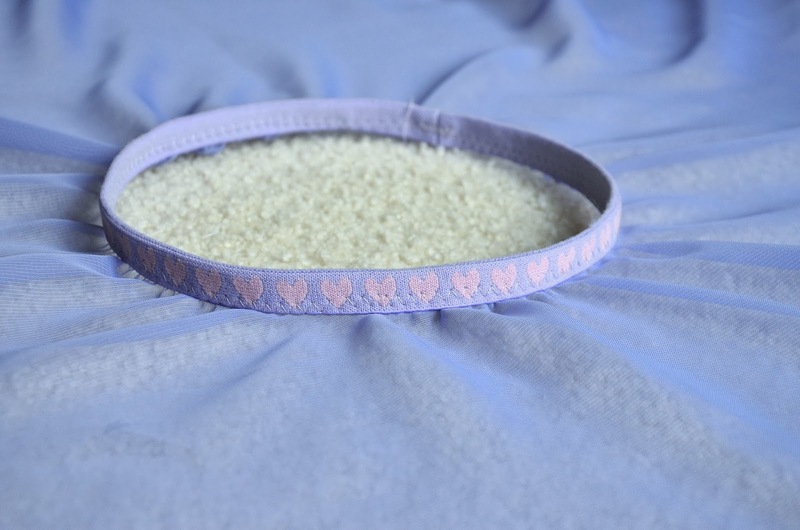 Instead, I sew the ends of the elastic together (RS together) so the elastic forms a complete circle, with the SA of the ends on the WS of the elastic, folded in and tucked away. Then I attach the elastic circle to the waistline of the skirt. Then packaged them in plain plastic bags and wrapped them. The girls found the packages under the Christmas tree and squeezed them. Kate said, "We all got squishy presents!" After unwrapping them last night, they wore their dance skirts all evening and twirled. I forsee fancy dance recitals in our immediate future! Oh my gosh, the skirts are great, but I'm gaga over the labels! Oh, how fun! Now you need to make us a video of them dancing in their skirts. ;) I love the packages you made, too. I love the way you packaged them! Great idea to use the foe.from the cloth diaper part.of the shop! I actually cloth diaper my kids and looked into making my own at some point, but decided I would save pennies at best. That was before it got so popular, though. Maybe it's more affordable now? Cute! Cute! Cute! You did such a great, colorful job! The labels are awesome, too. And so thoughtful. You are just an awesome mom! 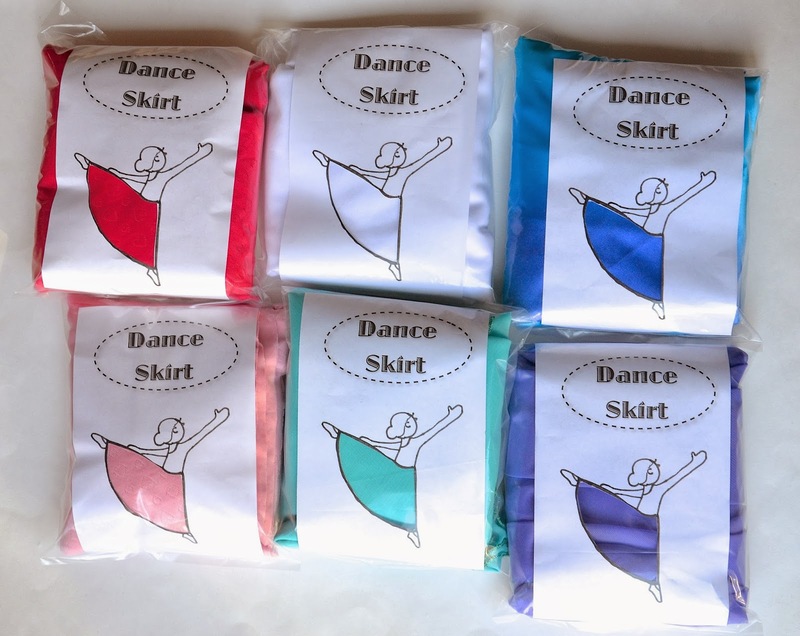 The dance skirts are beautiful and the labels! I love that you are so detailed and everything looks so professional even if it is for your own kids.thank you for sharing this with us. I also want to wish you and your family a wonderful new year. 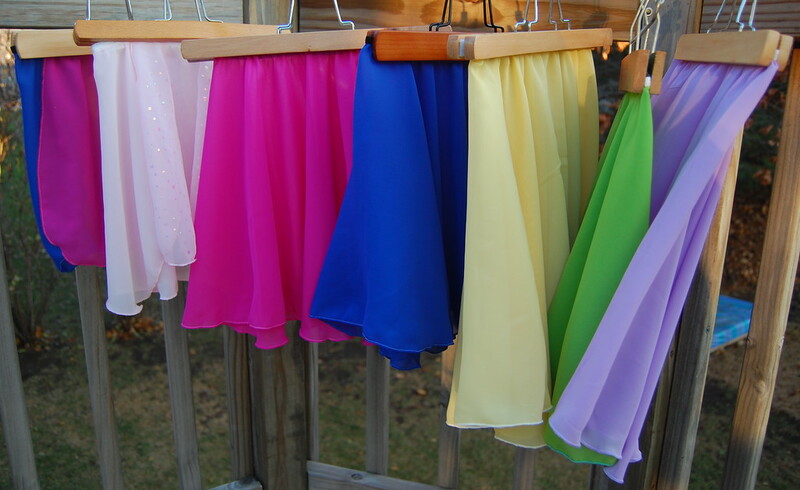 Those are gorgeous skirts! If my daughter or son were into twirling I would totally make these. Does your MIL make julekake as well? I haven't had lefse, krumkake, or rommegrot in a long time, but every year either my mother or I make julekake. It just isn't Christmas without it! They don't - they buy it from the supermarket, but my FIL made rullepolse this year to eat with the julekake. And sandbakkels! I loooooove those. I'm taking sandbakkel lessons from him!